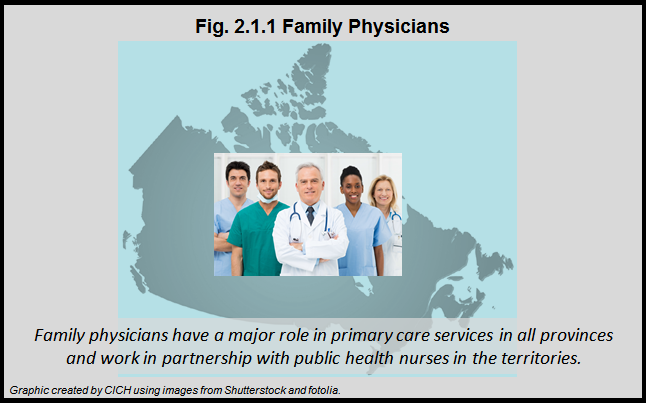 Family physicians are the key primary care providers throughout infancy, childhood, and adolescence in all provinces. They provide well-child care, immunizations, developmental surveillance/screening, and management of acute and chronic conditions. There are fewer family physicians in the rural areas of Canada. In the territories, family physicians mainly work in the capital cities – Yellowknife, Whitehorse and Iqaluit, managing acute or chronic conditions, while public health/community nurses perform most of well-child care.